The event will help in creating practical and academic discussions, exchanging ideas, and achieving a unified advocacy path with international partners towards sustainable education for children. 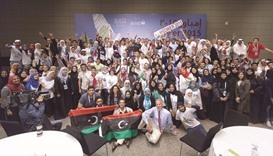 More than 150 youths from over 10 countries in the region are attending the Mena Youth Capacity Building in Humanitarian Action (Mycha) training, organised by Reach Out to Asia (Rota), a programme of the Education Above All foundation. 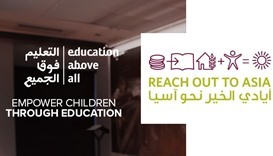 The Education Above All (EAA) foundation, through its programme Reach Out to Asia (Rota), held the ‘largest annual’ International Education and Resource Network iEARN-Qatar 2017 Open House at the Education City Student Centre. Reach Out To Asia (Rota) recently trained a new group of volunteers as part of the seventh batch of the Better Connections programme. The initiative aims to improve the social well being of migrant workers in Qatar by providing them with information and communication technology equipment and skills. 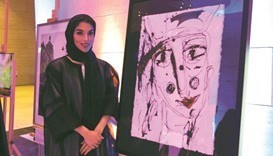 The annual ‘Ladies Ghabqa’ networking event of Reach Out To Asia (Rota), held under the patronage of, and attended by its chairperson HE Sheikha Al Mayassa bint Hamad bin Khalifa al-Thani, raised QR1.5mn for projects supporting Syrian refugees in Lebanon. 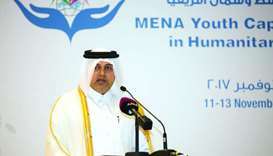 More than 450 participants have converged on Doha to attend the eighth edition of the Empower conference officially inaugurated by Reach Out to Asia (Rota) chairperson HE Sheikha Al Mayassa bint Hamad bin Khalifa al-Thani. Empower 2016, the youth conference organised by Reach Out To Asia (Rota) under the theme ‘Innovation in Youth Social Entrepreneurship’, will start from tomorrow. Reach Out to Asia (Rota) will host Empower 2016 at Hamad Bin Khalifa University (HBKU) from March 17 to 19, it was announced yesterday. 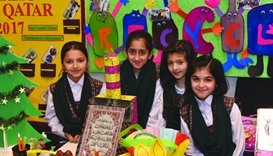 The annual youth conference was launched in 2009.